Saving money is a good thing and while everyone agrees, they tend to try to save money in the short-term, like with cheap hardwood flooring. Think about it, if you try and save money by buying a low-quality item to cut on costs now, you're more likely to have to replace it soon. You end up paying double because you tried to save money in the immediate. It's better to invest upfront and save money over a longer period of time than to pay out for cheap hardwood flooring you'll have to replace a lot sooner. You'll be saving money on hardwoods even though it looks like you're buying more expensive woods. Let's go over why cheap hardwood flooring isn't cheap at all. Part of the reason hardwood floors can be more expensive is because of its durability, natural beauty, and how exotic it is. That first reason is the most important as longevity of your floor should be high on the list. 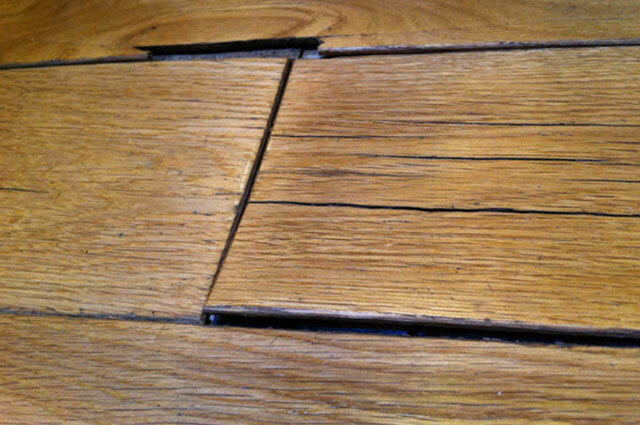 Lower quality materials found in cheap hardwood flooring often don't have the best durability. All the corner cutting means that the wear and tear of living on a floor affect it much more. That translates to you spending more money on cheap hardwood flooring than you would on higher-quality floors. Cheaper materials tend to not last as long and so the cheap hardwood flooring you initially spent money on would have to be replaced a lot sooner. You end up paying double instead of saving as you wanted, that is not how to save money on hardwoods. Investing in quality hardwood flooring and paying more upfront translates to keeping repair costs down over a much longer period of time as well as lowering the risk of replacement. Paying more once for quality is better than paying twice for cheap hardwood flooring. A lot of cheap hardwood flooring cannot be stained anew or refinished, you just have to replace it. This adds up quickly as if you ever want to change the color of your floor or notice some damage you want to remove, you'll just have to get new flooring. This problem was touched earlier, the lower the quality the more often you'll have to replace your cheap hardwood flooring. Depending on what cheaper material you got, it may be a lot easier to scratch or even rip. Yes, many faux-hardwood flooring can be ripped like foam if not careful. Also, what if you decide that you'd rather have a lighter floor and brighten the room? Well, much cheap hardwood flooring cannot be restrained and instead you would have to replace it. Quality hardwood floors offer versatility and durability, that is what you're paying for upfront. The trick on how to save money on hardwoods is to find quality hardwood floors that don't require constant maintenance. Longevity is the name of the game and cheap hardwood flooring is subpar in that category. Have you ever seen a faux piece of jewelry or ripped DVD that tries desperately to look like the real deal? A lot of cheap hardwood flooring is like that. Almost like a photo printed on top of composite wood or foam, it usually looks cheap. What you pay in maintaining the cheap hardwood flooring amounts to what you'd pay for the real deal to begin with and the natural beauty of the wood is missing. Rather than trying to have elegance while saving money on hardwoods without getting it, invest in the authenticity and save money while actually having the elegant hardwood floors. Paying less up front often costs more. Most of the reason people get hardwood floors is because of how beautiful they are and there aren't many ways to adopt that. There are cheap hardwood flooring options, woods not so exotic and still carry the opulence of having hardwood floors. So, don't skip over these woods and jump to the faux. Their durability isn't the best, you can't restain them or fix them, and they don't have the look you're after. You'd be putting a giant photo on your floor and one that scratches easily. The best way to save money on hardwood floors is by not buying cheap hardwood flooring. It is better to pay more upfront, even if on the cheaper woods than to pay less initially and a lot more often for a long period of time. It's like buying a house made of cheap materials but looks nice. You know you're going to have a lot of repairs and that the house isn't sturdy at all. You'd be investing only in a lot of maintenance. That's what it comes down to. Invest in longevity or invest in repair fees. Yes, everything needs repairs and maintenance. It just comes with owning things, but paying less for upkeep while having your floors in good condition is how to save money on hardwoods. Don't let the sale sign or the low dollar amount sway you, it's the equivalent of buying something without warranty. Cheap hardwood flooring is that. Low cost, high maintenance, and short life span.